The design was conceived by viewing the site as a city block that has eroded internally over time, creating unique, internal spaces that flow within the site. 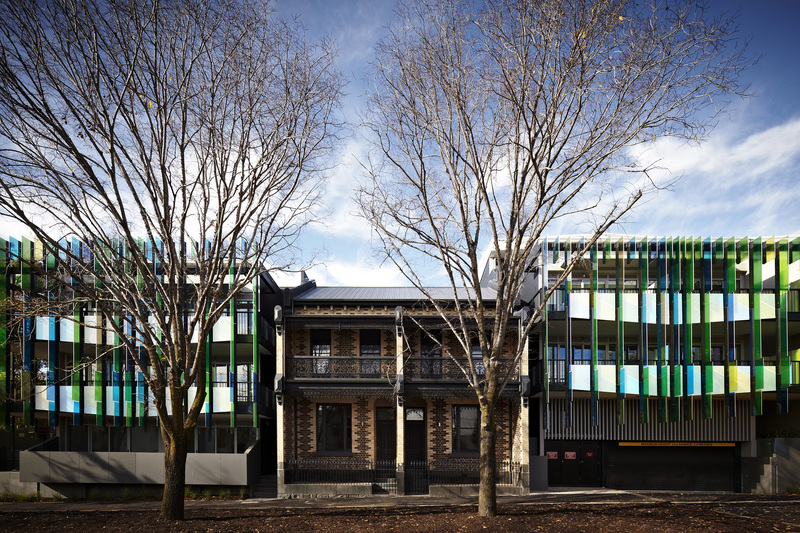 St John’s Place is a redevelopment of an active public housing site in North Melbourne for the Department of Human Services, is part of the federal government’s Nation Building economic stimulus plan. The masterplan incorporates five residential buildings designed to respond to the existing nature of the site and surrounding urban streets. 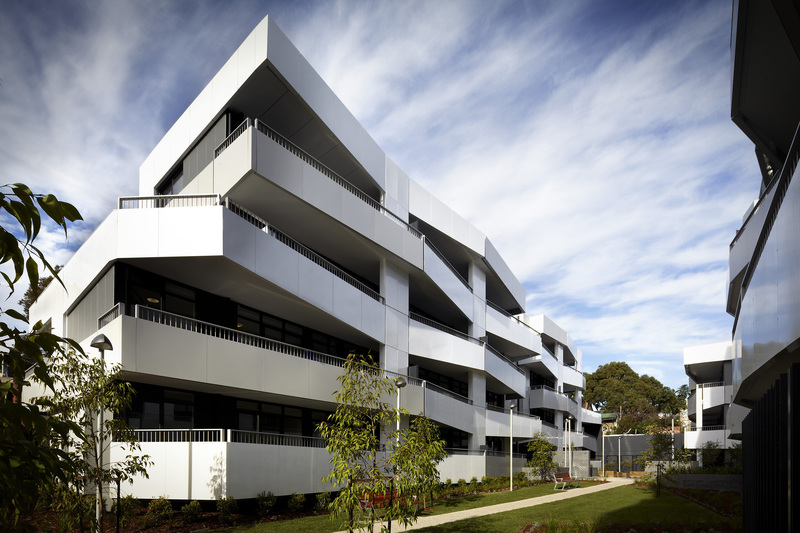 The external architectural language is designed to reconstruct a sharp urban edge, relating directly to the street and neighbourhood buildings. Within the site, a softer series of woven facades create a backdrop to heavily landscaped courtyard spaces. 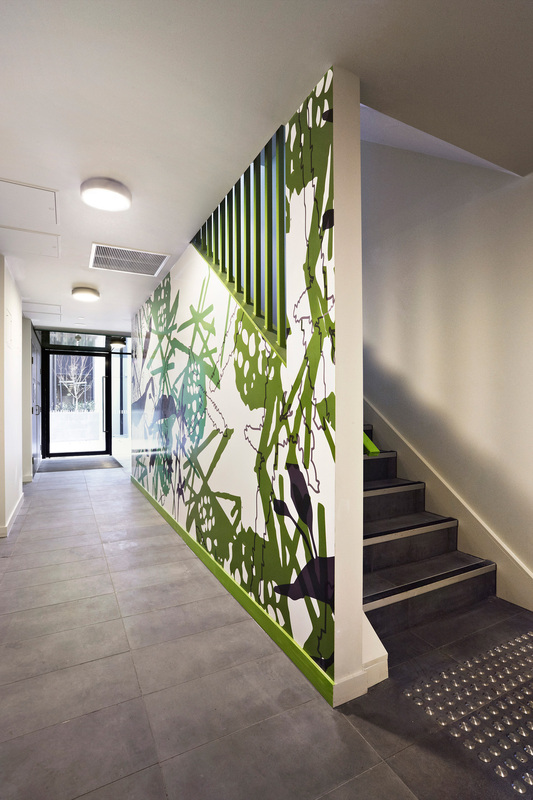 This clear definition creates a series of architectural spaces, nodal points and paths, giving residents their own private, communal spaces. 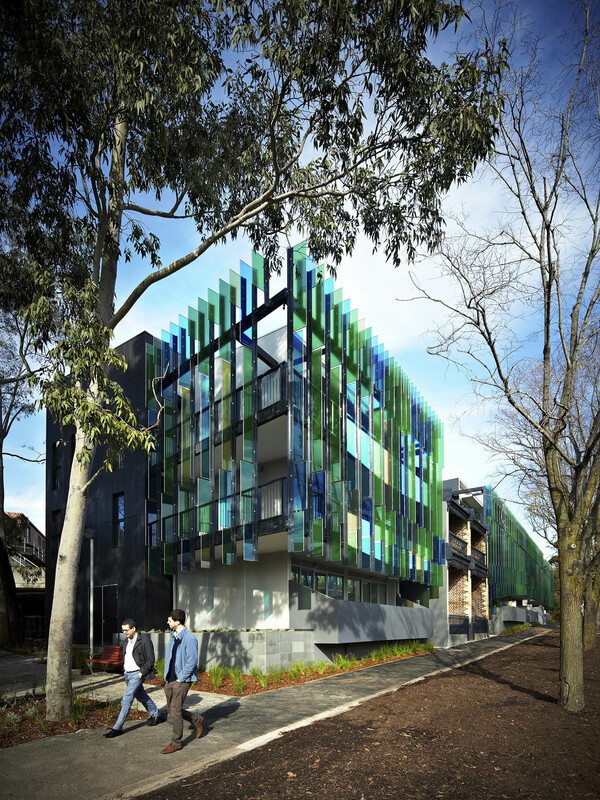 A screen of translucent glass panels embracing shades of green, yellow and blue faces the street, reflecting and intensifying generous street landscaping in the neighbourhood. 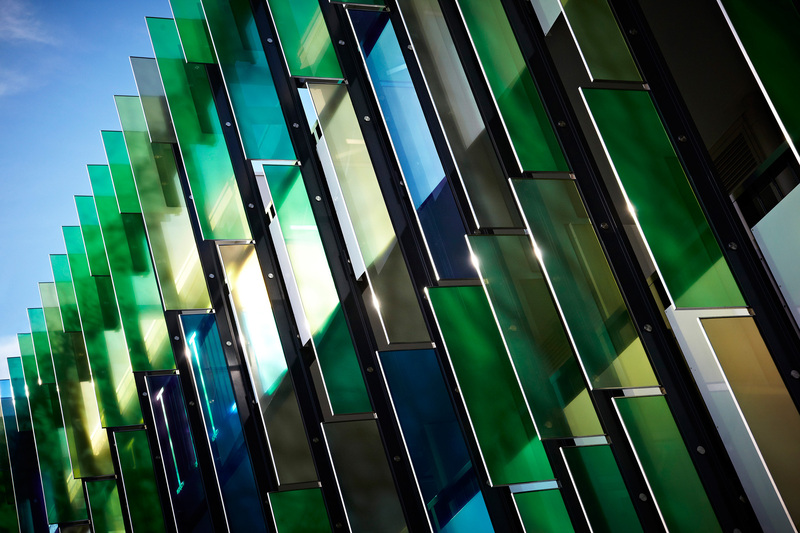 The street façade will present as a wall with depth, changing under differing lighting conditions. 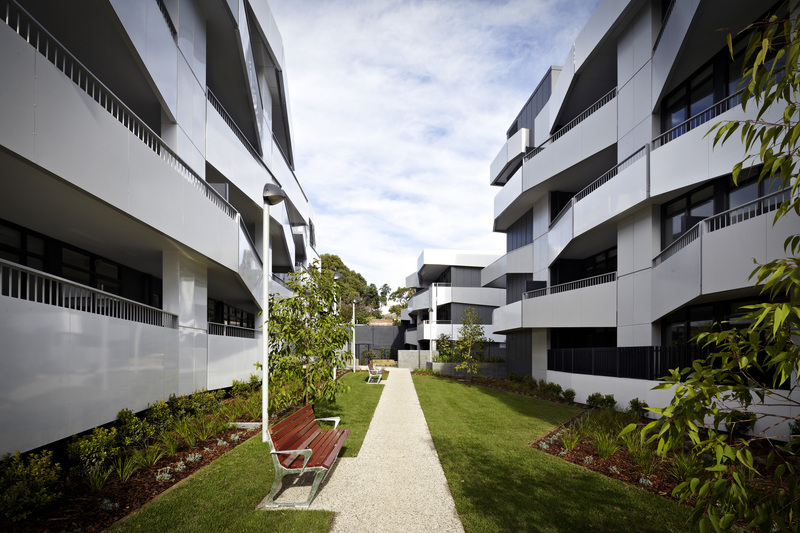 The internal courtyard takes advantage of substantial landscaping running through the development.